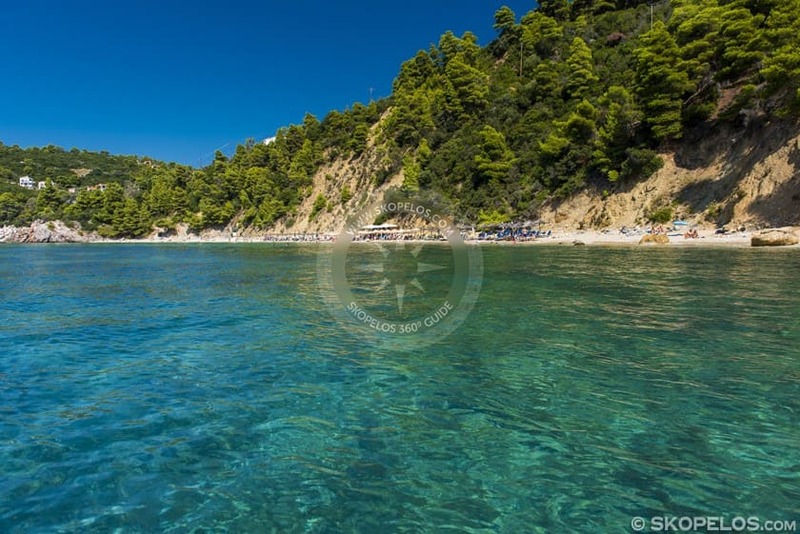 Stafilos beach is considered to be the most popular beach of the island of Skopelos. 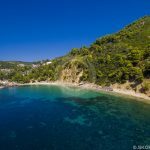 Probably due to the short distance from the main town of Skopelos. 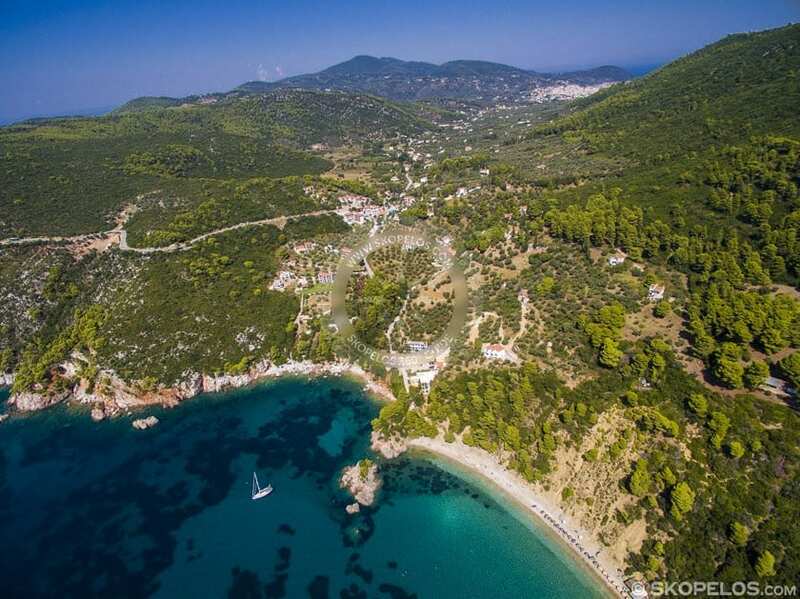 Stafylos beach is located in a magnificent bay at the foot of a mountain covered with pine trees. 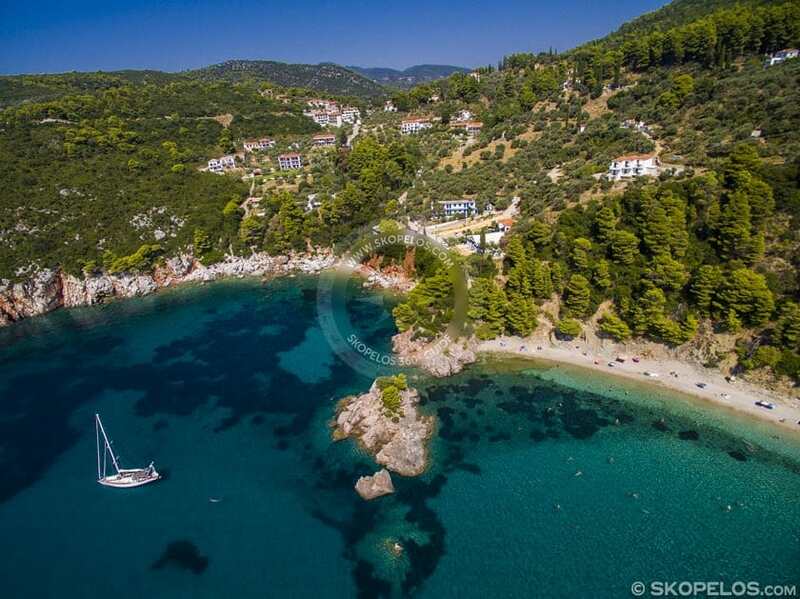 Stafylos is a beautiful organized beach just 4 km from the town of Skopelos. 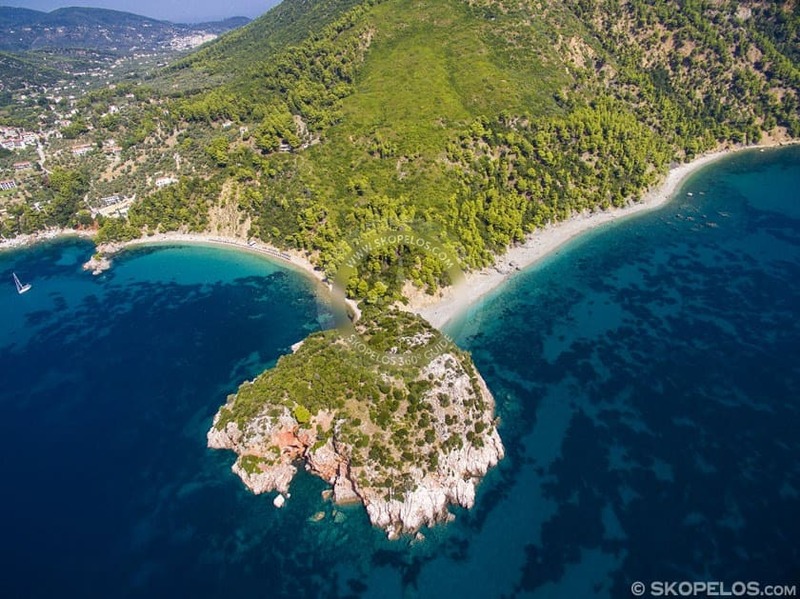 Staphylos beach, named after the Cretan legendary prince Stafylos. 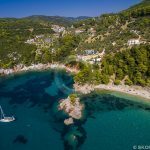 The Prince Stafylos came to Skopelos island with his brother Peparithos. 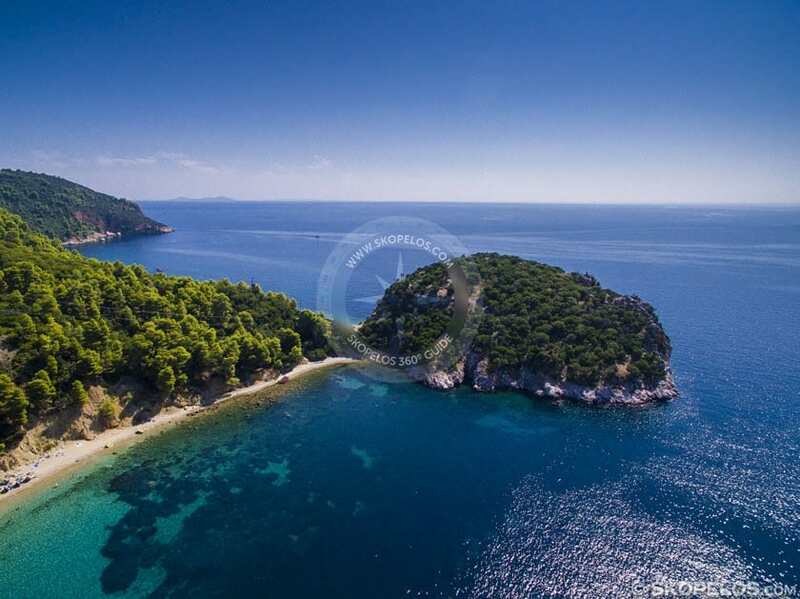 Both of them are the first inhabitants of the island of Skopelos. 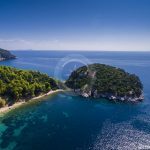 Prince Staphylos settled on the island of Skopelos and chose this place, where Staphylos beach is located, to settle a small town around 1600 BC. 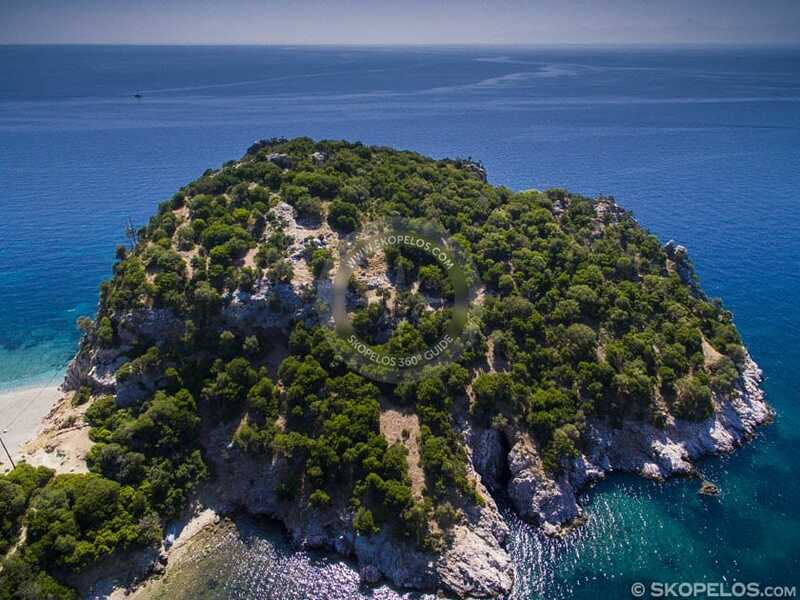 A rocky edge that goes out into the sea is the home of the tomb of Prince Staphylos. 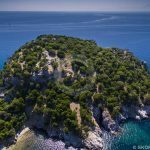 On Stafilos Beach, next to the grave of Prince Stafylos, they also found the Prince’s golden sword. You can admire the prince Stafylos golden sword at the Archaeological Museum of Athens. 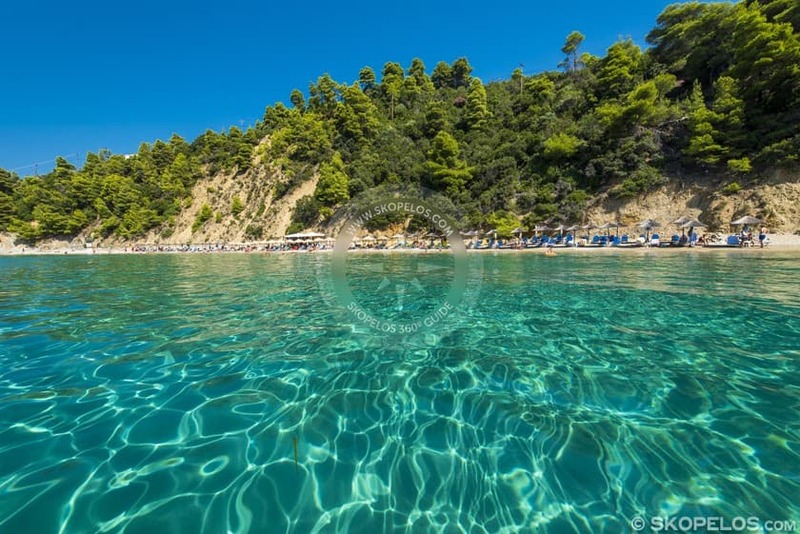 The beach is sandy and the water is an enchanting blue-green. 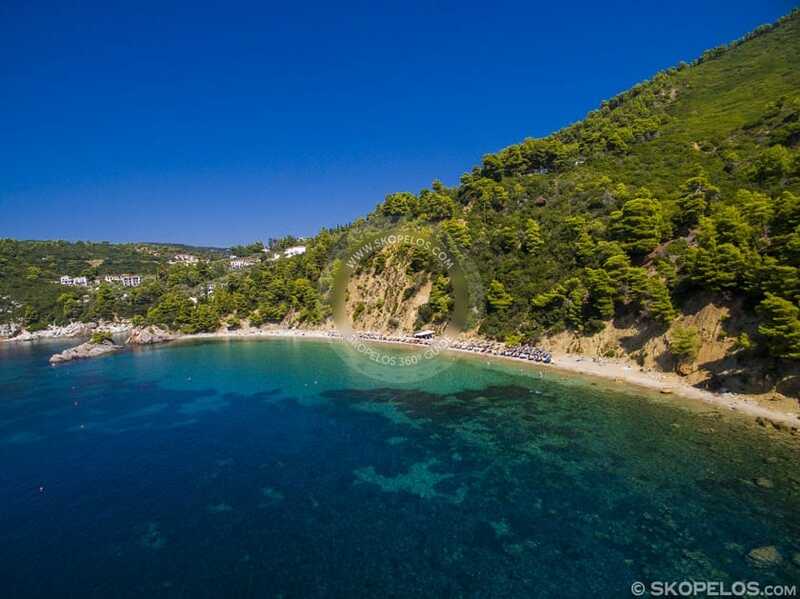 Stafylos beach is an organized beach with sun loungers and umbrellas and a beach bar. 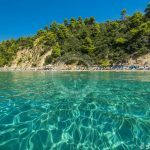 Lifeguard services are also available. 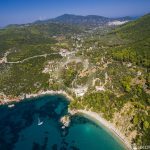 Keep in mind that access to the beach includes a steep 500-meter downhill and a few steep stone steps as you get there by bus. 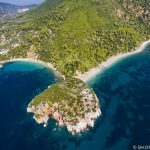 Staphylos beach is a very beautiful bay with sand and large rocks. 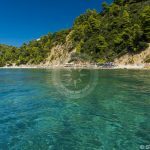 There is also a small path from Stafylos to the pleasant beach of Velanio, which is beach for nudists.